Much of Stockton is within ¼ mile of a bus stop, although there are locations that lack bus access, and many trips require transferring buses downtown. 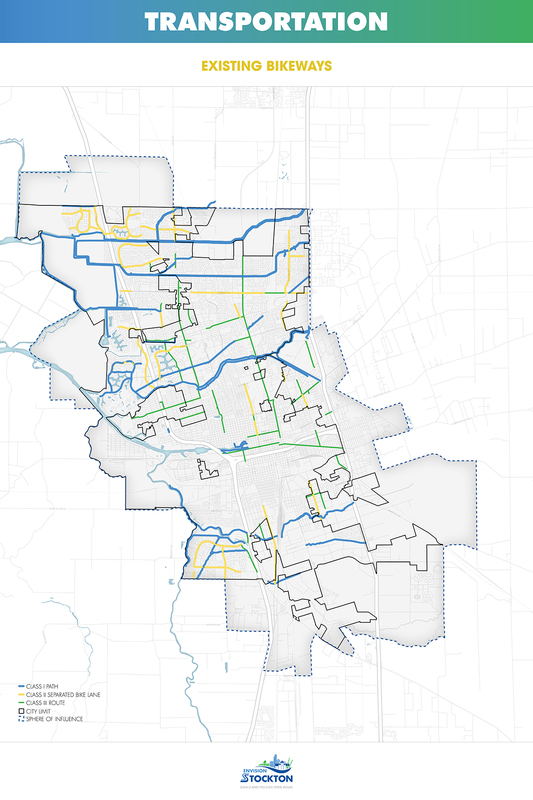 Additional bikeway connections are needed to promote a safe and connected bicycle system in Stockton. 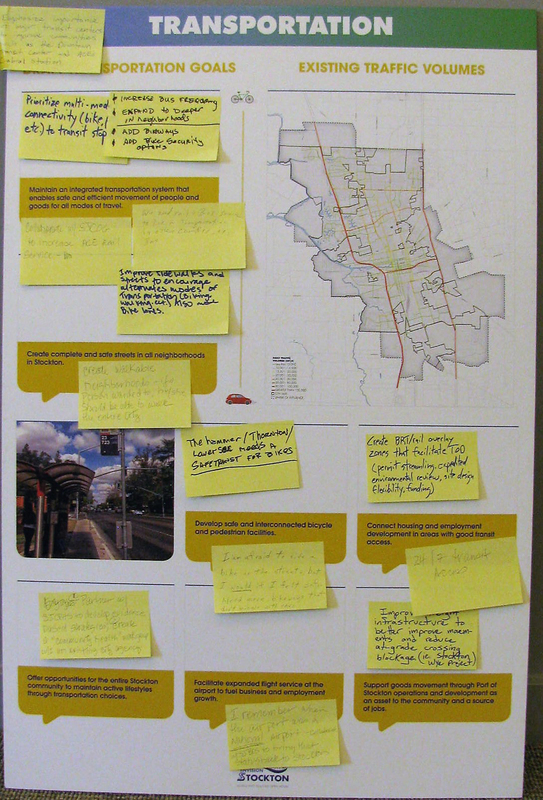 Comments made at the May 1st and 2nd open houses related to transportation. Maintain an integrated transportation system that enables safe and efficient movement of people and goods for all modes of travel. Create complete and safe streets in all neighborhoods in Stockton. Develop safe and interconnected bicycle and pedestrian facilities. Connect housing and employment development in areas with good transit access. Offer opportunities for the entire Stockton community to maintain active lifestyles through transportation choices. Facilitate expanded flight service at the airport to fuel business and employment growth. Support goods movement through Port of Stockton operations and development as an asset to the community and a source of jobs.